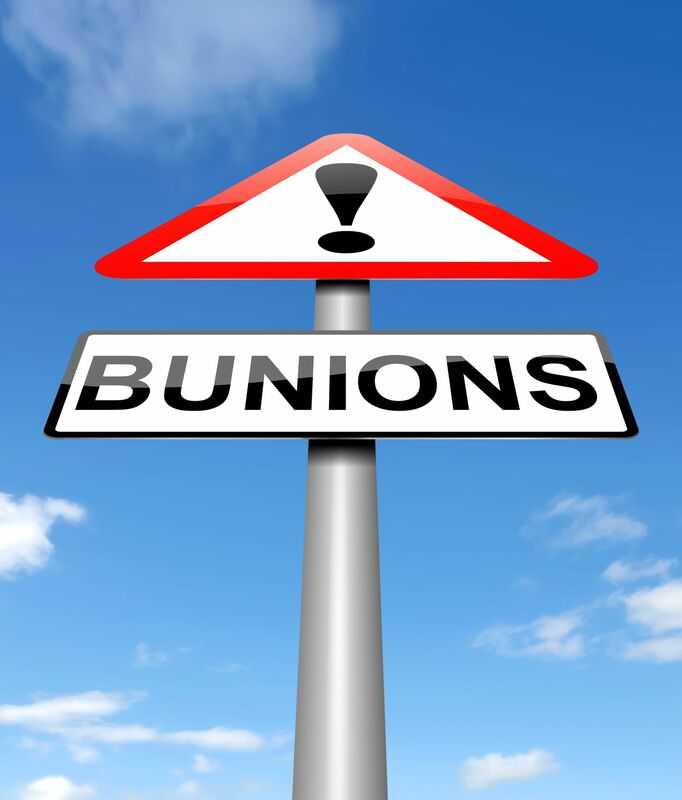 Bunions-a condition that affects a LOT of people. But it doesn't have to be that way forever! What is hallux abductovalgus? This is what most people refer to as a bunion. This is a condition in which a prominence develops at the base of the big toe and the big toe begins to drift out towards the 2nd toe. 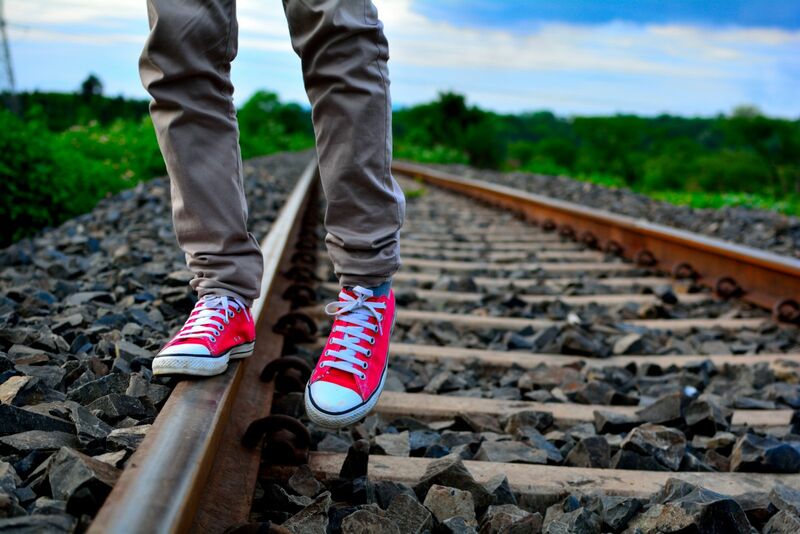 What causes hallux abductovalgus? Hallux abductovalgus can be caused by a genetic predisposition, based on a particular foot type, or a traumatic injury to the big toe joint most commonly. What can you do to fix a bunion? Once a bunion has developed in the foot, the only way to “fix” it is to surgically correct it. The good news is that depending on the severity of a bunion, there are ways to alleviate pain from the bunion and slow the progression of the deformity. While there are many products marketed to cure a bunion, unfortunately these cannot correct the internal cause of the deformity and therefore cannot truly “cure” or “fix” a bunion and return the foot to a normal structure. How can a bunion be treated? The first step in treatment is to have a thorough physical examination of your feet, including x-rays to assess the severity of the bunion and assess the condition of the joint. Once your doctor has all the information they need, they can determine the course of treatment. Conservative Treatment: The best conservative treatment available is custom orthotics. In mild cases of bunions, custom orthotics have been shown to slow the progression of bunions and delay the need for surgery. 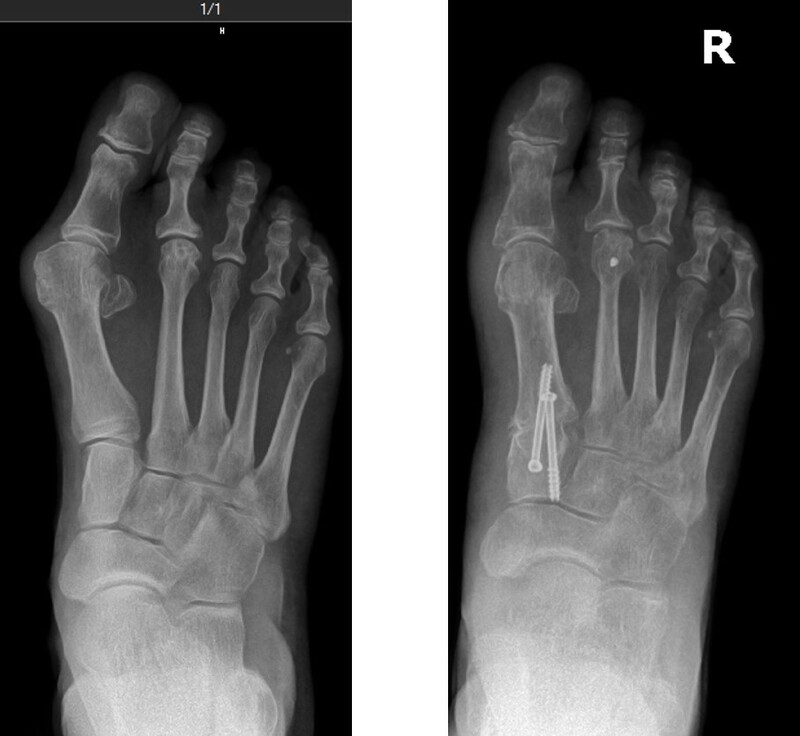 In moderate bunion deformities, custom orthotics provide accommodation for the bunion and correct the function at the big toe joint and decrease the chance of future damage to the cartilage in the joint. In all levels of bunion deformity, changing shoegear is essential to decrease progression and pain. Supportive shoes are essential to stabilize the back of the foot, which is where improper biomechanics leading to bunions stems from. Limiting use of shoes that aggravate the big toe joint (such as high heels or sandals with straps that can rub on the prominence) is also key to improving symptoms from bunions. In severe cases, where deformity causes irritation within shoes, it is vital to measure feet and buy wider shoes to decrease the pain in the big toe joint. The use of anti-inflammatories such as NSAIDS (like Motrin) and cortisone injections may also be helpful to alleviate acute aggravation of the joint. There are also special pads that can minimize the pressure on the bump and also the pressure on the 2nd toe. Surgical Treatment: Surgery to correct a bunion deformity typically involves making a cut in the bone behind the big toe to realign the joint. This bone cut is then held in place with either a plate, pins or screws and requires an average of 6-8 weeks to heal completely. 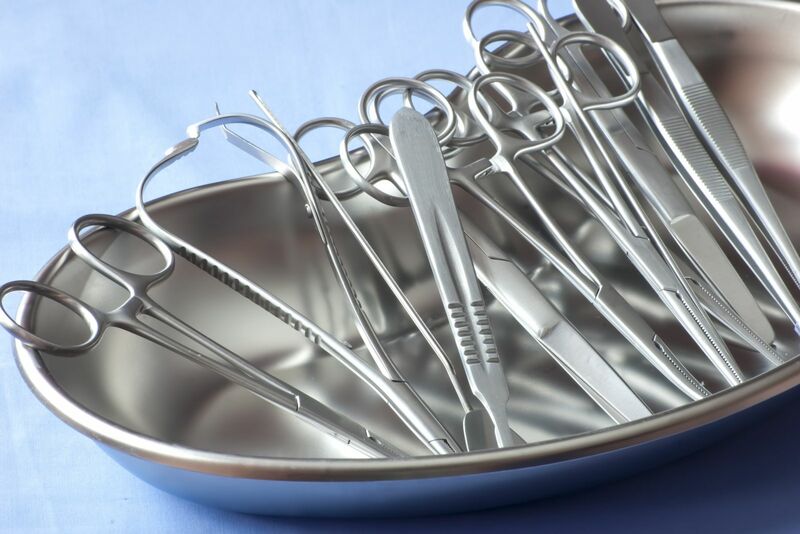 There are many different bone cuts that can be made and the type that is appropriate for any given bunion will be determined based on an examination of your foot and evaluation of the x-rays. What if I don’t treat my bunion? If bunions go untreated, there can be a few possible outcomes. Hammertoes: Hammertoes (especially of the second toe) commonly result for untreated bunion deformities. This happens as a result of the big toe drifting outward and bumping into the adjacent toes. Because the toe cannot go downward (due to the floor) or outward (due to closed toed shoes), it instead elevates and becomes prominent and may then rub on the top of the shoe. This can even cause a corn in this area. Arthritis: If bunions continue to progress over time and are not accommodated or corrected, there can be damage to the cartilage in the joint due to the poor alignment of the toe while walking. If the cartilage becomes damaged, it does not regenerate and cannot be replaced. If bunions develop into arthritis, the treatment options change and the condition becomes more complicated to correct. 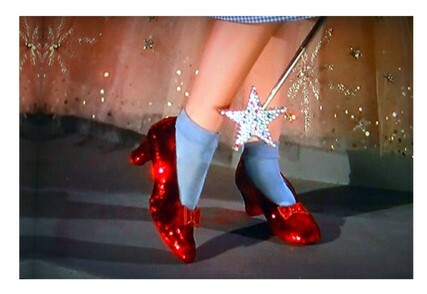 Difficulty finding Shoes: Bunions can progress so severely that finding shoes that fit can be difficult. In some instances, shoes may require stretching to accommodate for the bump by the big toe. Don’t delay treatment of your bunion. Our doctors are here if you have questions that were not clearly answered in this handout – we are happy to help you understand your condition thoroughly.